IMPOWER have been championing the importance of demand management now for some time. Our White Paper, Changing the Game has prompted significant debate about demand management and behaviour change opportunities in the public sector – and in particular in local government, a debate which has recently been picked up by the LGC. In their recently published efficiency supplement they explore how budgets can be better managed by proactively seeking to manage demand rather than just being responsible for meeting demand itself. IMPOWER Director Max Wide thinks supply side savings are “exhausted, councils have generally run out of track. You can restrict eligibility criteria but only so far.” He says demand for council services can be separated into that generated by those who have no reasonable alternative, and another group who could be persuaded to reduce their demands. “We use demand management and behavioural change and you can quickly identify different sets of service users,” he says. “There are people who are up for change, those who want the same service they have always had, and those who’ll accept change if they see the sense in it,” he adds. 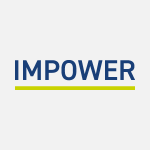 At IMPOWER we have been using these techniques to deliver real savings for local authorities, for example in our work on SEN transport at Coventry City. To read the full LGC article, click here.